Technology is making it easier for patients and providers to interact, thus improving communication, safety and patient-provider relationships. New tools are helping patients become more actively involved in their care and maintaining their health, according to results of the 19th Annual Health Care’s Most Wired® survey, released by the American Hospital Association’s (AHA) Health Forum. Innovation in patient care embraces emerging technologies and underscores the need for secure patient information exchange. Hospitals have increased their use of sophisticated Information Technology (IT) monitoring systems to detect patient privacy breaches, monitor for malicious activities or policy violations and produce real-time analysis of security alerts. Union General Hospital received this award thanks to their IT Department’s impressive vision and tenacity. This same department also implemented a program called, Patient Portal, which allows patients the ability to access their health care records remotely anytime and place they would like. With initiatives like this, accompanied with unsurpassed medical care, it’s easy to see why they are the preferred healthcare provider in their region. 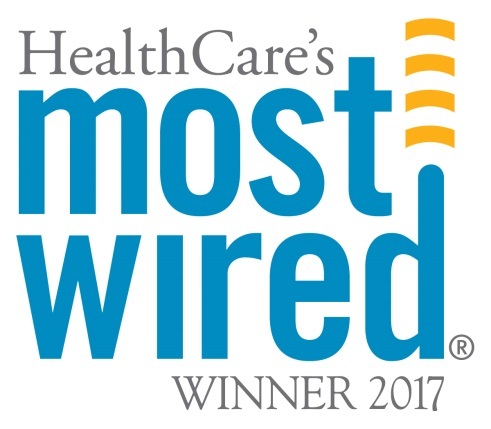 The 2017 Most Wired Survey is conducted in cooperation with the American Hospital Association and Clearwater Compliance, LLC. The AHA is a not-for-profit association of health care provider organizations and individuals that are committed to the improvement of health in their communities. The AHA is the national advocate for its members, which include nearly 5,000 hospitals, health care systems, networks and other providers of care. Founded in 1898, the AHA provides education for health care leaders and is a source of information on health care issues and trends. For more information, visit www.aha.org. Health Forum is a strategic business enterprise of the American Hospital Association, creatively partnering to develop and deliver essential information and innovative services to help health care leaders achieve organizational performance excellence and sustainability. For more information, visit www.healthforum.com. Clearwater Compliance, LLC is a leading provider of healthcare compliance and cyber risk management solutions. Its mission is to empower hospitals and health systems to successfully manage healthcare’s evolving cybersecurity risks and ensure patient safety. Exclusively endorsed by the American Hospital Association, Clearwater solutions have been deployed within hundreds of hospitals and health systems, Fortune 100 organizations and federal government institutions. More information about Clearwater Compliance is at http://www.Clearwatercompliance.com.